Hello friends! Today I celebrated my second annual 29th birthday! I have zero diys to boast about on the internets right now. In fact I don’t even have internets right now. I’m posting from my phone. I don’t have internets becase I just moved and am waiting for my service to be transferred. You know what moving means, though. A whole new place, a whole new space and a big blank canvas to paint to my hearts content! 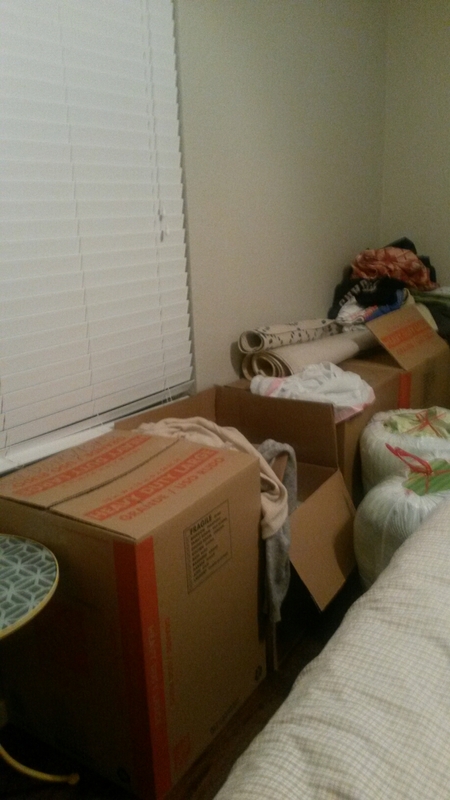 In the interest of keepin’ it real (ok I turned 30, not 29 again) I’m surrounded by boxes and bags and don’t have the energy to continue to unpack tonight… See? Once I bounce back from the exhaustion of packing and unpacking, and organizing and cleaning, and birthday recovery, it’s back to diy or die and I’ll be posting all along the way. Until then, please feel free to share your best and worst unpacking horror stories in the comments to make me feel better about this mess! Add a pic of your cake to this post!